Are Video Games Nowadays Too Long? I remember the good old days of video games. How I would come home, turn on the 8-bit NES and begin playing games on the 8-bit NES like Super Mario Bros., Metroid, The Legend of Zelda, just to name a few. These games could be finished – beginning to end without cheating – between a half-hour to a couple of hours. I also recall having a friend over, and we would host what we called “The Mega Man Marathon.” This involved a run through of Mega Man’s 1 through 6, and we effectively do so in about half a day to complete. 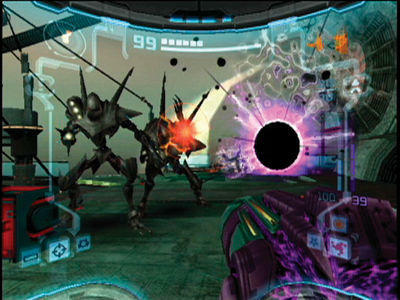 Then I noticed that as future systems were unveiled, the average game would take longer and longer to complete. It would now be difficult to do any kind of marathon in one or two days for a series of games let alone a single game. Thus the question arises: Are video games nowadays too long? Here I will provide some interesting arguments for both sides. Yes, they take forever to complete. , an “adventure” game. I love the game in all its glory, but if you wish to play the game from beginning to end with everything completed, it will take you at least 35-40 hours (again, this depends on skill). , just to name a couple. No, they’re fine the way they are. 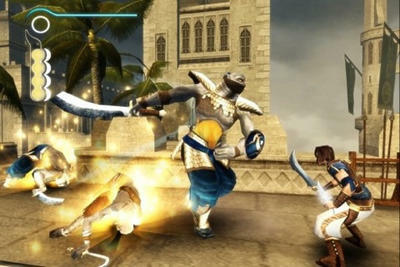 Prince of Persia: The Sands of Time - I completed this game (100% with all the Sand Clouds) in 5 hours and 5 minutes. Again, I will use San Andreas as the example here. 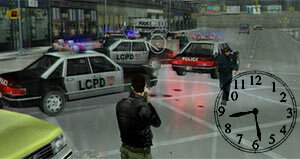 Although one could just play the story missions to complete the game, there are extra “side missions” to complete. These all add “replay value” to the game. If they didn’t exist, the game may not be as interesting nor would I want to play the game repeatedly. Continuing with this example, you could even gain rewards such as extra health, a tank, infinite sprinting, respawning weapons, just to name a few benefits (here is a checklist to get 100%). There is a reward value to this and can greatly help make gameplay easier regardless of its time consuming nature. This and other games all have a similar nature in that will want you to play for hours or days on end. , New Super Mario Bros Wii, all can take about 5-7 hours to complete (once again, this depends on skill). What’s fun is some of these games have great replay value and have some interesting aspects of the games because they have a straight-forward nature. Personally, I think video games are fine just the way they are. I will admit there are times I wish they would be shorter, but that may be speaking from impatience or someone who lacks available time. As a gamer myself, there are plenty of games I still want to play and finish up, some games I still haven’t beaten from early this decade. I do believe that the added content in these games do add replay value and challenge. Therefore, video games should stay the way they are now regardless of the time length. So what do you think? Leave a comment or two below for it will be interesting to discuss.